We take a look at some of the Arab world's favourite underground voices; some are still relatively unknown to most of us, others have become household names in recent years, but they all rock our worlds with their vocals. Music has a very special place within our collective lives as Arabs. Ever since the beginning of our cultural heritage, we have placed the art of music and song on the highest pedestal. Throughout the years we have admired, as listeners, the work of singers and composers from all corners of the Arab world. In the past century some, Arab women were at the forefront of the region's music scene, matching talent with - if not surpassing - their male peers. Some homegirls even went on to reach super international stardom, most notably Om Kulthum and Fairouz, without selling out on their art. Even today, Arab female singers continue to move audiences without forfeiting their integrity. 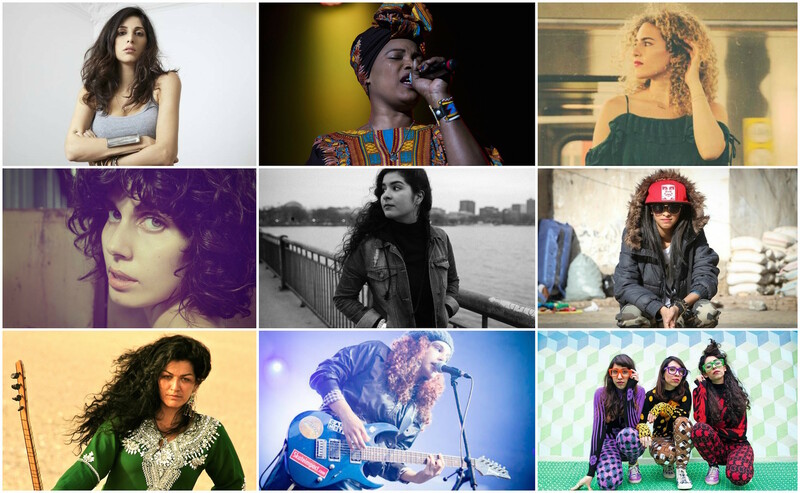 We salute these 13 female singers from all over the Arab world. Asia Moussa Abdallah (aka Asia Madani) is much more than meets the eye. Born and raised in the Sudanese town of Wad Madani before moving to Egypt in 2000, she brought us her sweet vocals and original Sudanese ballads along with her brilliant percussion performances. Playing all over Egypt’s art spaces from Room to the now discontinued Oshtoora festival, she’s an irreplaceable asset to our music scene. A Lebanese underground sensation turned international phenomenon, Yasmine Hamdan’s career spans nearly two decades. The Paris-based songstress’ extensive catalog includes three albums, as part of the Soap Kills band; the Arabology album under the moniker Y.A.S, a hit solo album titled Ya Nass, and, last but not least, an appearance in the Jim Jarmusch movie Only Lovers Left Alive. Good luck not falling in love with her soothing voice. Belgium-based Tunisian Ghalia Ben Ali’s vocal abilities are one of the most reputable in the Middle East today. Born in Belgium to Tunisian parents before moving back to Tunisia during her childhood, she was influenced by the folklore of her homeland and the inescapable hold Umm Kulthoum has on our history. She grew up to become the ultimate product of East meets West in terms of musical culture. Saudi pop singer? You heard that right. Riyadh-born and LA-based artist Tamtam is one of a kind. Gaining people’s attention in 2013 with her song Little Girl and continuing to deliver heartfelt and purposed songs to a wide audience and finding success with them - notably Old Soul which became a hit of sorts a couple of years ago. Seems like Tamtam won’t stop breaking boundaries anytime soon. Syria’s been known to produce some of the best artistic talents in many fields, and its export of singers is no exception. Aleppo-born, Sweden-raised, and, now, Beirut-based Faia Younan proved her dedication in 2016 by being the first Arab artist to crowdfund her debut single Ohebbou Yadayka. She went on to win the region’s hearts with more songs and her artist album A Sea Between Us. 13 years ago when Massive Scar Era was first starting, Metal in Egypt was once again on the rise after facing a nationwide crackdown by authorities during the 90’s. Cherine Amr has been screaming and screeching into microphones ever since. The Alexandrian singer and the rest of her band members, now boast a massive performance track record under their belts, opening up and sharing the stage with metal giants from all over the world, like Dream Theatre, InFlames, and ZZ Top at some of the world’s most famous festivals like SXSW. Cherine Amr also plays solo under the moniker Cheen, where she has recorded songs that are on the other end of the spectrum of her metal contributions, bordering between indie pop and rock - fused at times with local oriental influences. Arslanian was born in Lebanon right after the start of the Civil War. Seven months later, she moved with her family to Belgium, where she played with a couple of bands for the first time, before moving back to Lebanon. She started her own band Sandmoon, and with them, Arslanian has been offering a unique take on indie rock. With basic instrumentation playing repetitive lines, and an enigmatic, bewitching voice, Arslanian’s Sandmoon were able to remain separated from the pack while delivering joyful songs, earning them massive support. Born in Syria, raised in Pennsylvania, and currently based in New York City, Boshra Saadi has been on the move in search of living her dream. After performing in New York for the first time with Indie band Lookers, Boshra ended up starting her own band SAADI. She cites influences from no wave, new romantic, afro disco, shoegaze, and post punk, leading up to her current electro-Indie/pop sound. Her last EP was released in 2012 - SAADI still continues to perform every now and then. Moroccan singer and composer Miriam El Hajili is one of the most underrated Arab female vocalists. Not many people in the Arab world know her very well, especially those of us living in the region. Based in Cambridge, Massachusetts, El Hajili doesn’t believe in genres, but she does consider many of her songs to fall under folk mainly, her sound is organic. She writes her songs out of personal experiences, making them all the more intimate. Born to Jewish Arab parents in Yemen; Tair, Liron, and Tagel Haim quickly moved to Israel. They have become iconic in Israeli and global underground pop culture, following their hit song Habib Galbi. They make original Yemenite music in the Arabic-Yemeni dialect, infused with electronica and hip hop, lending a certain freshness to the otherwise traditional sound. 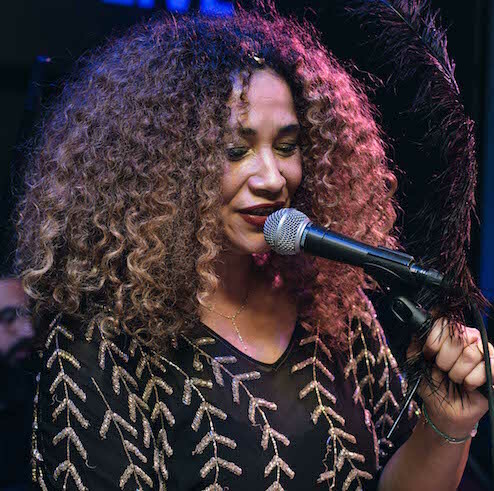 Yehia no longer performs her music in public. After appearing as the first female Yemeni rapper, Amani and her family started receiving death threats. They moved to Saudi Arabia, where she was told to stop making music as to not anger the authorities. In an interview, however, she said that she will continue to rap, and that one way or another, she will find a way to make music. Half-Egyptian, half-Iraqi, born in Baghdad, raised in Cairo after the first Gulf War, Al Khalidi has two of the most potent types of Arab blood running through her veins. She has been through a lot in her early days, and the struggle shows in her voice; her songs are at times politically charged, other times, they speak of her emotions. One thing is for sure, her voice is sublime, reminiscent of the origins of modern Arab female singing. Her performances with Taraband were well received by audiences from all over the Arab world and beyond. Culture. Style. Money. Life. Noise. Tunisian artist Ghalia Benali muses on bridging cultures, spirituality, and love. 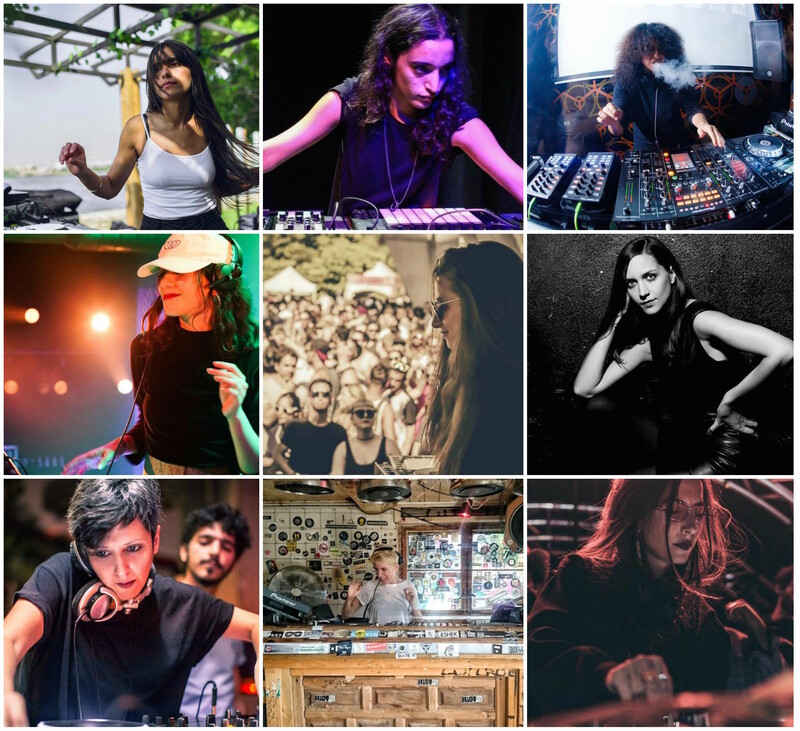 Meet the female rappers who are changing the hip-hop scene in the Middle East.